In 2019, the Glenwood Water District begins its 100th year of dedicated service to the public. 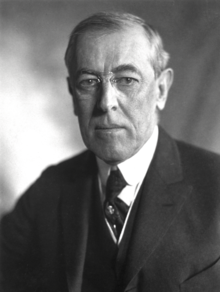 When it was formed a century ago, Woodrow Wilson was serving his second term as the 28th President of the Untied States of America. The USA was part of the victorious Allied forces at the Paris Peace Conference in 1919. World War I, known then as The Great War had ended by Armistice at 11:00 on November 11, 1918, issuing in a new era. Since its inception a century ago, the Glenwood Water District has delivered the highest quality water virtually without interruption by hurricanes, hard winters and even Superstorm Sandy! Congratulations to the Commissioners and the staff of the Glenwood Water District on a job well done!